Spring officially begins tomorrow. I have bought a few basic pieces for S/S 2012. This little black silky dress with camisole top and narrow frill at the waist subtly reflects the bustiers and peplums of the season. From H&M January sale. 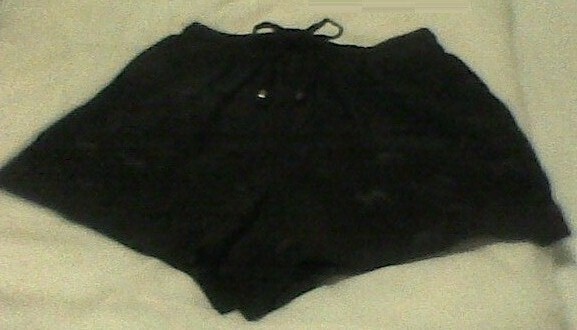 Smart shorts, runners style with a drawstring waist but in a black silky jacquard fabric with a little panther pattern. It's the fabric that makes these shorts so special. From Topshop. Black cycling shorts with lace trim at the hems. They are very comfortable and the lace makes them pretty. They'll be great for holidays and for casual wear. From Topshop. 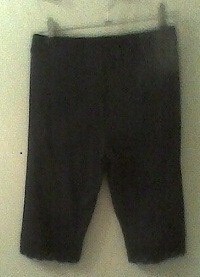 I promise not to buy any more black pieces for S/S 2012! Now it's time to do a wardrobe edit. I must look at denim pieces, tropical/flower prints and leopard accessories that I already have.